This recipe completes a week of zucchini recipes. For my last recipe I decided that it had to be a savory one. I have been canning homemade spaghetti sauce this week so I thought a zucchini pizza recipe would be a great way to end the week; plus Friday night is pizza night at our house. I used some of my homemade sauce to make this recipe, along with fresh tomatoes and basil from the garden. This is the first time that I have made a zucchini pizza style recipe and I have to admit that it was quite tasty. I have a feeling that this will be on the menu again before we run out of zucchini in the garden. The nice thing about this is you can change it up and use the ingredients that you have in your refrigerator. Such as I thought I had pepperoni in the freezer and when I went to check it was gone, so I used salami that was in the fridge instead… a great substitute. 1. Slice zucchini in half and remove the seeds, giving the zucchini a boat shape. 2. Drizzle zucchini with a the olive oil. 3. 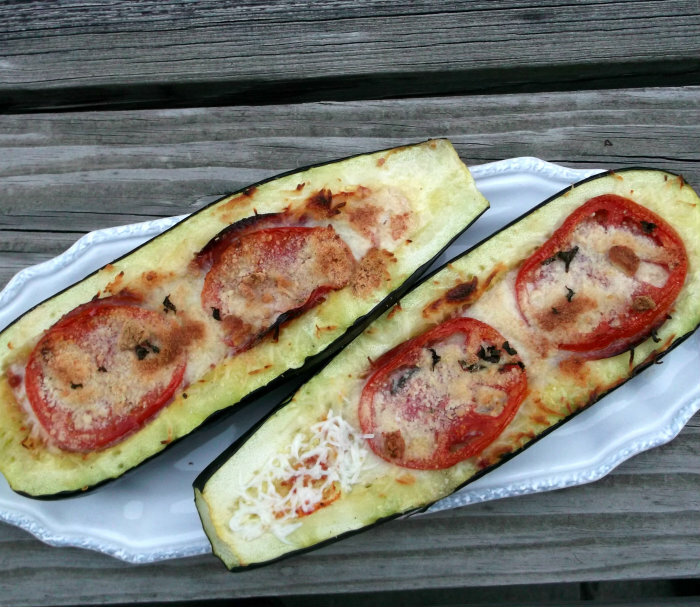 Spread the pizza sauce over the bottom of the zucchini. 4. Place the salami over the pizza sauce. 5. Sprinkle the mozzarella over the meat. 6. Top with sliced tomatoes. 7. Sprinkle the Parmesan cheese over top of everything. 8. Top with the fresh basil and sprinkle the onion and garlic powder over top of everything to taste. 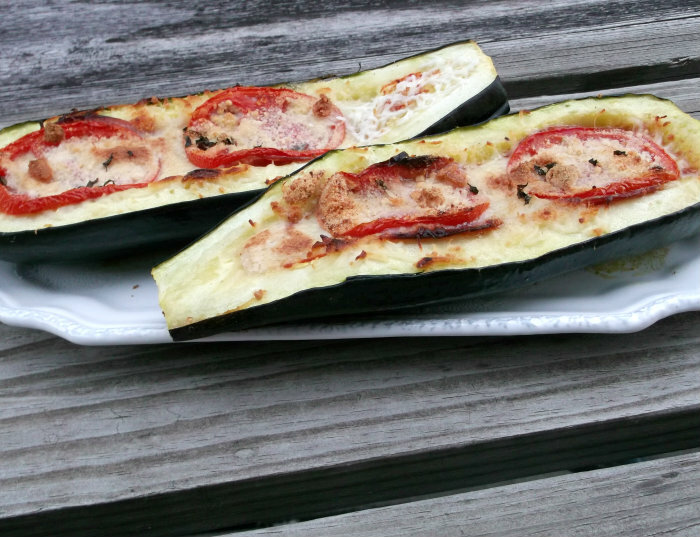 350 degrees F, bake for 25 to 35 minutes or until the zucchine is tender. I think these might get even my zucchini hating brother to like zucchini! Pizza-style just makes it more fun. Great idea! Who doesn’t love pizza? 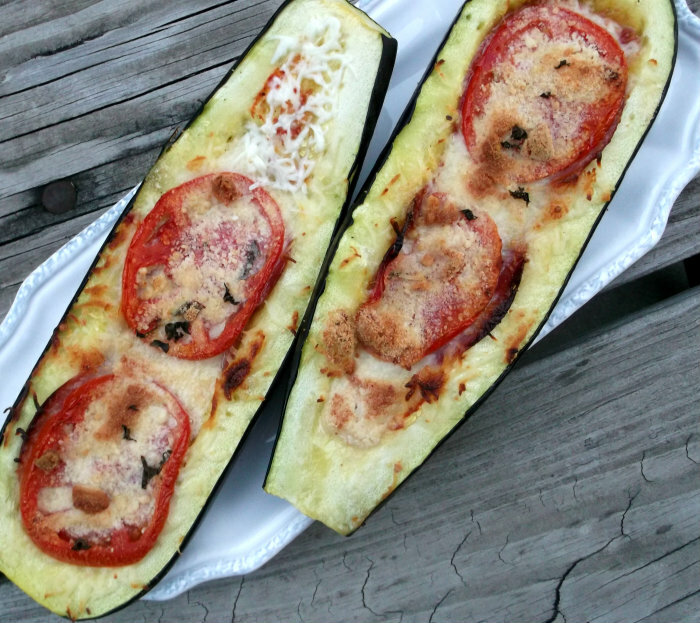 Love the idea of using zucchini like this – good stuff. Thanks. What a great idea. I think my kids would like this!